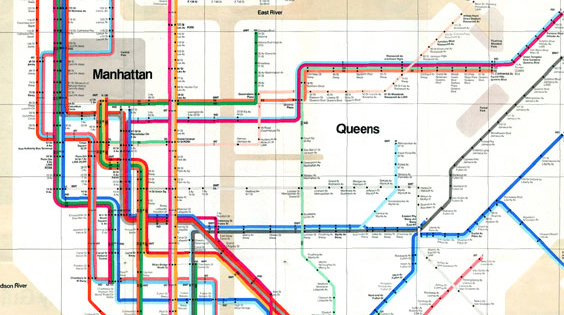 Design legend Massimo Vignelli is dying, and he wants you to send him a postcard. Even if you’ve never heard of Vignelli, you have surely seen his work. Chances are you may be seeing it every day. Pictured above is his redesign of New York’s subway map, released in 1972. It doesn’t look that old, does it? 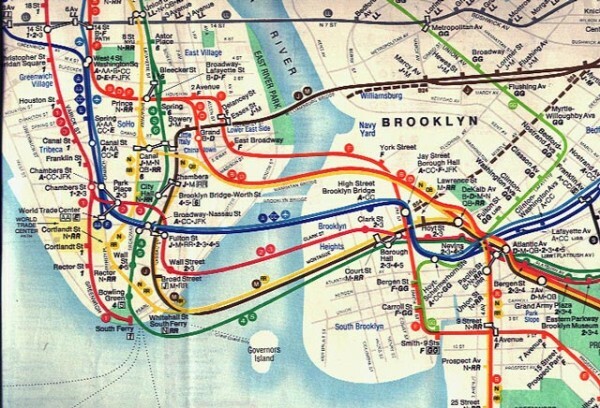 This approach was diagrammatic, which means that it sacrificed geographical accuracy – note how Central Park is reduced to a square – in favor of a neat, geometric design: one dot for each station, one color for each line, 45 and 90-degree angles only. While it may look very contemporary now, this design was outrageously ahead of its time in 1972. Vignelli was aware of that, so he created two geographical maps and a verbal map – which explained how to go from place to place in words – to go along with his revolutionary A to B, modernist design. Unfortunately, the MTA thought this was too complicated and only introduced the map above, to the confusion of travelers: New Yorkers were outraged by what they saw as the misrepresentation of their city, while tourists struggled to relate Mr. Vignelli’s design to what they found above ground, writes The New York Times. But it was changed last year. The new one is hardly as timeless. Several of the world’s most prominent corporate logos are in Helvetica, including BMW, Lufthansa, Toyota, Target and, ironically, Microsoft, which has never included the font in Windows, supplying the extremely similar – and cheaper to license – Arial instead. 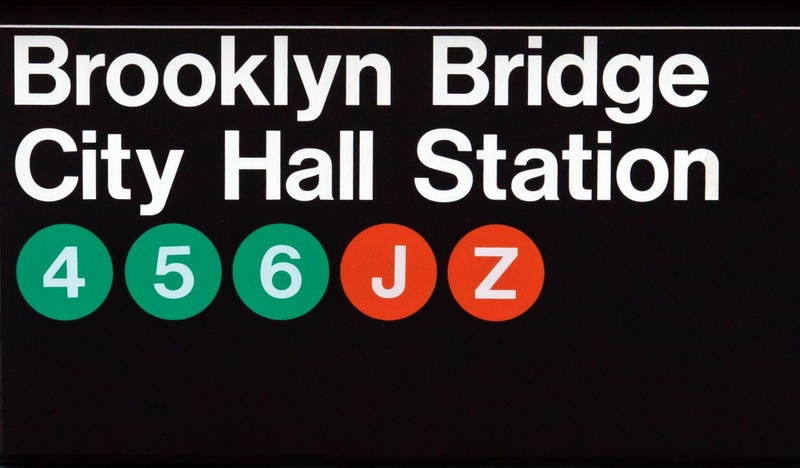 Italian-born Vignelli has long been a resident of New York city, and his work can also be seen in the logos, signs and packaging for the city’s landmark department stores Bloomingdales, Barney’s and Saks Fifth Avenue. And last year, the MTA introduced The Weekender, an interactive version of the subway map based on his 1972 version. His contributions to design are unforgettable, as is his philosophy: «I like design to be semantically correct, syntactically consistent, and pragmatically understandable. I like it to be visually powerful, intellectually elegant, and above all, timeless». Last week, his son Luca announced that Massimo Vignelli is terminally ill and will be spending his last days at home. He also requested that anyone who has been influenced or touched by his work send him a note, or a letter, to his home address in New York City. Update: Mr. Vignelli died on May 27th, 2014. Read his New York Times obituary. How many blades does your razor have? If you’re a customer of one of the two leading brands and you’re on their latest products, it’s likely to be either four or five. Gillette and Schick (known as Wilkinson Sword outside the US) have been waging a razor war for decades, trying to take hold of a global industry worth about $25 billion a year. Gillette’s latest, the Fusion, has five blades; Schick’s Quattro has four, but the company also offers an upgraded five-blade version of a previous model, the Hydro (marketing a five-blade Quattro would make little sense, because quattro means four in Italian and their ads are built around a hand showing four fingers). It’s a grueling fight, over which both companies spend billions each year in marketing and research. Just manufacturing the tools to build a specific razor may cost upwards of $250 million. It’s gone through the courts as well: Gillette sued Schick in 2003, claiming the Quattro was infringing one of their patents, but they lost. Nevertheless, Gillette still holds the lion’s share of the market. Razors are prominent members of a group of products known as loss leaders. You might have noticed that the razor handle, which normaly includes two blade cartridges, is very conveniently priced. It’s basically free, to the point that the product has to be priced in such a way that it doesn’t become cheaper to buy razors handles just for the blades. This is designed to conquer you as a customer for the lucrative replacement cartridges, which are so expensive that they consistently rate among the world’s most shoplifted products, chiefly because of their value-to-size ratio. In other words, Gillette and Schick are willing to take a loss on the initial sale so they can reap the benefits from you later on. But how many blades do you really need? Gillette introduced the “safety razor”, so called because the blade is encased is such a way that it’s harder to cut yourself, back in 1904. It took them 67 years to add a second blade, in 1971. They then launched the Mach 3 in 1998 and the Fusion, with five blades, in 2006 (they skipped the four-blade generation because of patents). According to a tipically reliable Internet source, this creates a hyperbolic curve that will give us a razor with infinite blades sometime around 2026, but don’t spend too much time thinking about it. It’s interesting to note that in the early years, Gillette didn’t pursue a loss leading strategy: in fact, the razor was quite expensive. But King C. Gillette didn’t care because he had patents to protect his invention, so no one could sell cheap knockoff blades for his razor. Moreover, the blades themselves were made of carbon steel, so they would rust quickly: people were just forced to buy them frequently. Only in 1965, and after Schick introduced its own stainless steel blades, did Gillette finally make the switch, even though they had long held a patent on non-rusting blades. 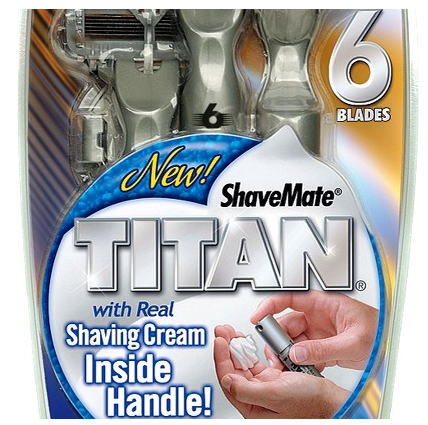 Not happy with just having six blades, the folks that sell this even put a shaving cream dispenser in the handle, making it just about the most ridiculous grooming item you can buy. It gets trickier. You might have noticed that both Gillette and Schick also sell “power” versions of their razors, that use one AAA battery. It powers a tiny motor, similar to those used in phones for vibration, which supposedly facilitates the shave. The battery is included: Gillette gives you a Duracell, while Schick gives you an Energizer, the two top-selling brands in consumer batteries. Coincidence? No. Gillette bought Duracell in 1996 (they are now both owned by manufacturing giant Procter & Gamble), and Schick was bought by Energizer in 2003. When this happened, Gillette pre-emptively struck by launching a battery powered version of its Mach 3 razor, in late 2003. Schick quickly responded with a power version of its Quattro model. I am really not sure wether a vibrating razor is beneficial to your face, and Gillette has even been convicted for false advertising over this, but it’s interesting to note that both makers are selling you their own batteries, hoping you’ll buy more in the future (of course, while you’re forced to buy the correct blades for your razor, any battery will work, so brand loyalty is somewhat diminished here). If it all sounds exploitative, it’s because it is. Another glorious field of application for loss leading is printers. Have you ever complained about how expensive ink cartridges and toners are? The reason they sound so expensive is that they cost a significant portion of the price of the printers themselves, which are sold at a loss. But if you buy the printer you’ll be committed to buying consumables, so manufacturers are willing to give you a bargain on the hardware just to rake you in. So, next time you’re out shopping for an ink cartridge or a toner, and you find it costs half your printer, at least you’ll know that the right question is not Why does the toner cost so much?, but rather Why was the printer so cheap?